Oct. 24, Sun, TUNNG, La Machine du Moulin Rouge. You've heard of Animal Collective and The Doves. Here's the experimental folk of TUNNG. Nice stuff--if you like flutes, pipe-banging percussions, occasional electronic indulgences, in addition to your traditional stringed folk instruments. Oct. 26, Tues, Grinderman @ Cite de la Musique. Nick Cave's group. What more to say? 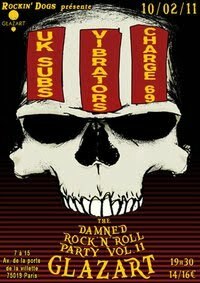 Oct 28, Thur, F$#%K the Rules: Hail Satanic Rocknroll Party, with DJ Le Grand Duc du Kansas and Dj Dr. Vibrafingers. 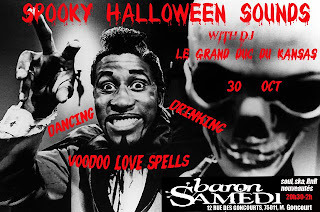 Wildass, Halloween-themed, vintage rocknroll, rockabilly, soul, ska-reggae, punk, and novelties! Oct. 29, Fri, Sharon Jones and the Dap Kings. Classic late 60s Soul Revival @ La Cigale. Oct. 29 Fri, Paris vs. Nice @ La Miroiterie: Louis Lingg and the Bombs, Imodium, Joe La Mouk, Punk a chier, La Releve, un vision. La Miroiterie is an art-punk squat on rue Menilmontant. Oct. 30, Sat., Crystal Castles @ La Cigale. Oct. 31 Archie Bronson Outfit, La Maroquinerie. Interesting UK indie outfit. They can bring it. They can be subtle. The vocals sound like...fill in the blank. But they're good--the vocals and everything else. Nov. 1, Mon, You Say Party, We Say Die @ La Fleche D'Or. Worth checking out if you don't know them. Nov. 2, Lykke Li @ La Maroquinerie. I lykke a li bit. Very indie low-fi electro-dance-pop. The Drums, Surfer Blood, Free Energy, Carl Barât. Yeah! Nov. 8 Alina Orlova, Cafe de la Danse. 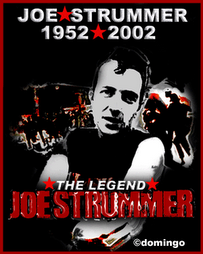 Lithuanian-born indie singer-songwriter. For fans of Miss Li. Nov. 9 Jim Jones REvue. They've been called the most interesting contemporary retro rocknroll band. They do indeed hearken back to a kind of vocal style that combines LIttle Richard and the Sonics. A wild piano and guitars also team up for some soulful but pounding rock that, like Red Bull, gives you wings.